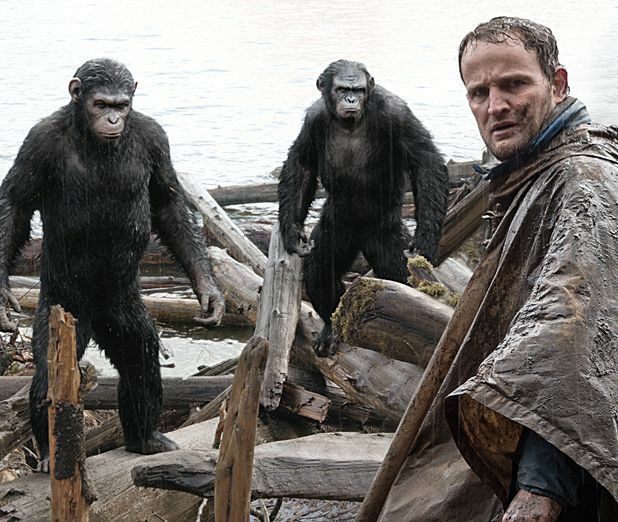 Complexity is something that’s all too rare in modern blockbusters but Matt Reeves’ Dawn of the Planet of the Apes – like Rupert Wyatt’s Rise – proves you can marry visual spectacle with something to engage the heart and the head too. Thought-provoking and exciting, this sequel may struggle to surpass the emotional clout of its 2011 predecessor but it takes grip from the start by virtue of its willingness to treat audiences as grown-ups. Set 10 winters after the events of the first film as mankind has dwindled in a post-virus world and apes have thrived, the film picks up as simian leader Caesar (portrayed by Andy Serkis) is forced to contend with the sudden arrival of a group of surviving humans into his realm – led by Jason Clarke’s Malcolm – who are looking for a vital energy source in the woods to power their community. After getting off on the wrong foot, the alliance between humans and apes is fragile and there are parties on both sides who would prefer nothing more than to go to war. It’s left to Caesar and Malcolm to work together to keep the peace and – in doing so – to protect their respective families. Reeves’ film can simply be enjoyed as pure blockbuster spectacle but it also serves as an allegory for humanity's shortcomings, particularly in dealing with prejudice, fear and conflict. Caesar is almost Mandela-like in his ability to understand these dangers and resist war, his expressive range of emotions astonishingly captured by Serkis (once again using motion capture) and the effects team. But there’s equally layered support from the likes of Clarke, Gary Oldman (as another of the human contingent) and Toby Kebbell (as rebellious ape Koba). When factoring in the excellent special effects and the dark but involving storytelling, Dawn is a triumphant continuation of this impressively rebooted franchise. General release from Thu 17 Jul.